Pictured Team encouraged by strong start to first ever endurance season. Team encouraged by strong start to first ever endurance season. Brands Hatch Grand Prix Circuit in Kent is the second destination of 2017 for the GT4 European Series Northern Cup this weekend, 6th/7th May, where British team SWR aims to build on the impressively strong foundations it laid during round one for its return to home soil. Making its endurance racing debut at Misano in Italy last month, Chipping Norton-based SWR took a top 10 finish away from for the championship curtain-raiser and it could have been much more too, only an unfortunate penalty linked to the driver change pit-stop prevented an even stronger result. As well as SWR’s first year in the GT4 European Series, team driver Charlie Fagg is also embarking on his maiden season of endurance racing and the Durham teenager has been a revelation thus far with extremely impressive pace and excellent racecraft. 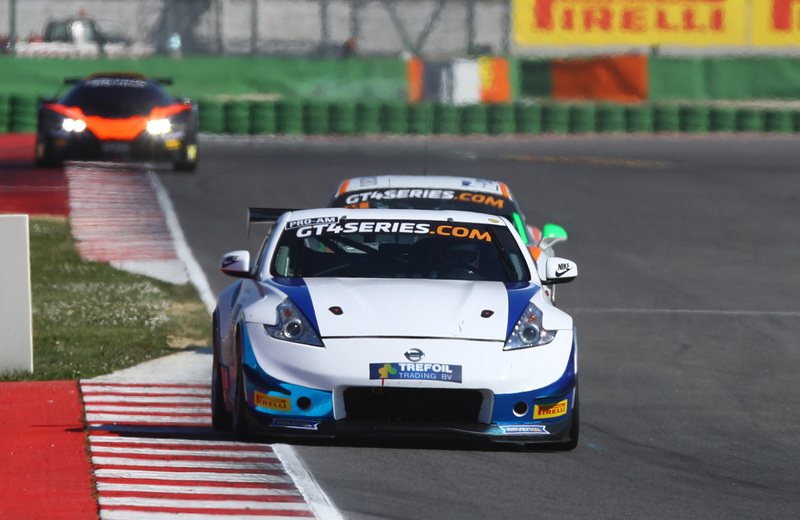 Delivering a performance far outweighing his lack of experience at this level, the Ginetta Junior Championship podium finisher turned heads at Misano and particularly with an extremely strong opening stint in race two of the weekend. 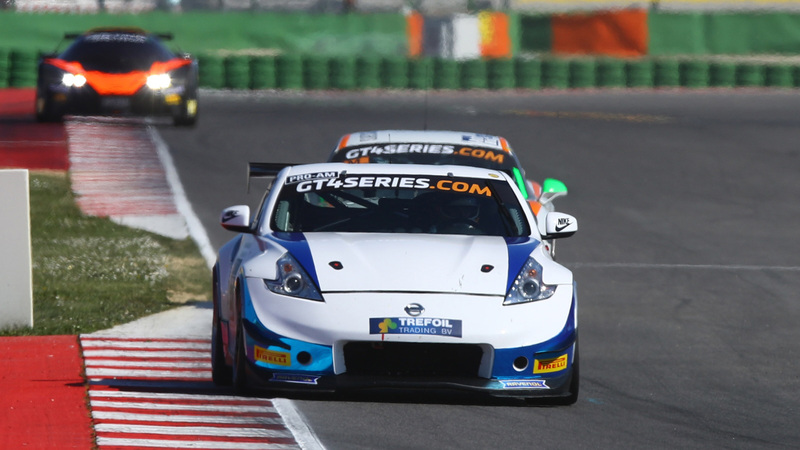 Relishing the prospect of being in GT4 European Series action this weekend at a track he is familiar with, Fagg is also confident the team’s striking white and blue Nissan 370Z will be well suited to the legendary GP Circuit at Brands Hatch. “It’s great to be going to a track I know so well, I’ve had podiums at Brands in Ginetta Junior and I really like racing there”, said Fagg, “It’s nice to be going to a circuit I can adapt to quickly in the Nissan, hopefully we’ll be competitive from the start – I think it will suit our car. Misano was very positive, we didn’t make any mistakes on track and raced well so we’re aiming to do the same again. French team-mate Romain Sarazin also impressed during the season-opener in Italy and is determined to make more progress on his second weekend racing a GT4 car. Sarazin is actually in only his second season of motor racing at any level, having debuted in the Blancpain Endurance Cup last year as part of the Nissan GT Academy. “I am very happy to be racing at Brands Hatch, it’s an amazing track”, said Sarazin, “I used to drive it a lot on the Playstation so that should help! This is one of the tracks I really wanted to race, so I am happy to be back with SWR and my team-mate Charlie Fagg to keep progressing with the car. Following two free practice sessions on Saturday, 6th May, qualifying at Brands Hatch will get underway at 17.35. On Sunday, 7th May, race one will begin at 10.15 with race two scheduled to start at 14.25. Live streaming of both GT4 European Series Northern Cup races will be carried online here: https://north.gt4series.com/live.